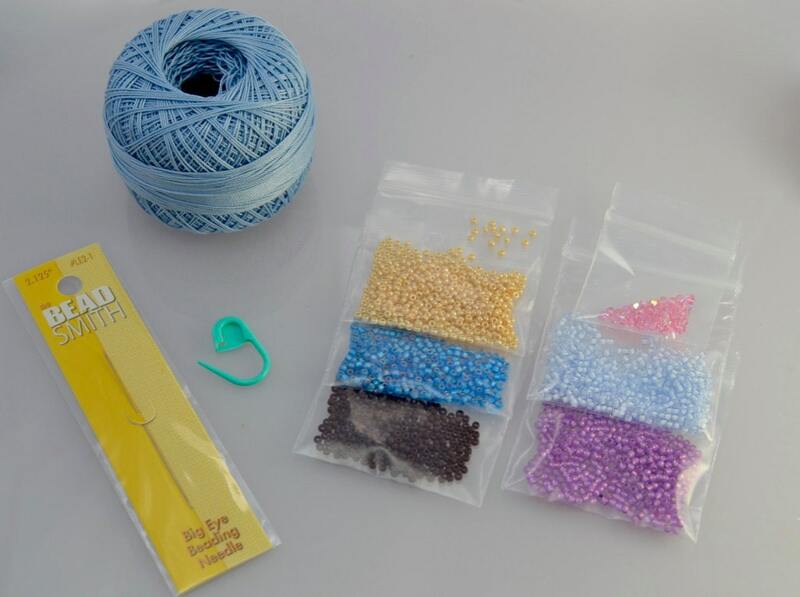 OSLO Bead Crochet Kit and Pattern for 2 Bracelets-BLUE color way. 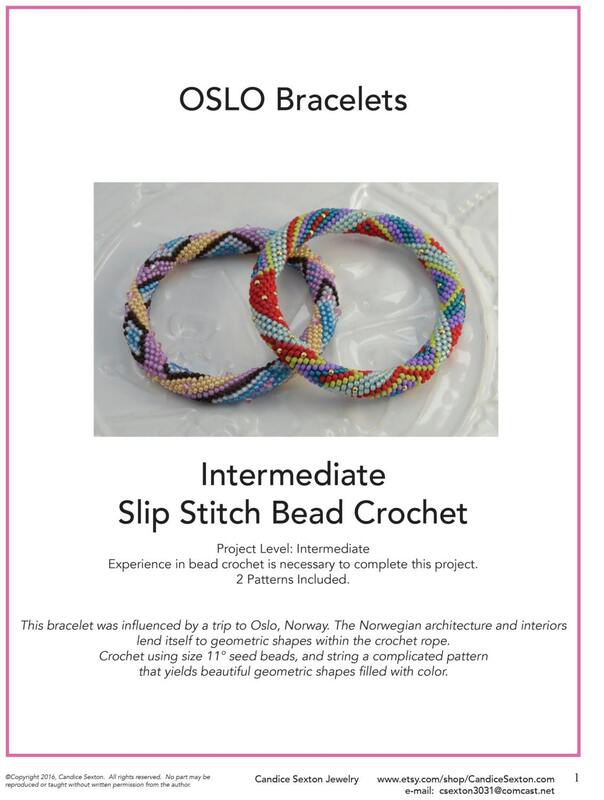 "OSLO" Slip Stitch Bead Crochet Bracelet Kit & 2 Patterns. • Hints for crocheting document. Please see the 2nd picture above for kit contents. Pattern for 2 Bracelets and Hints document are included with this listing and will be sent via email as a pdf file. Please request a hard copy at time of purchase if that is your preference. NOTE - Bracelet not included. 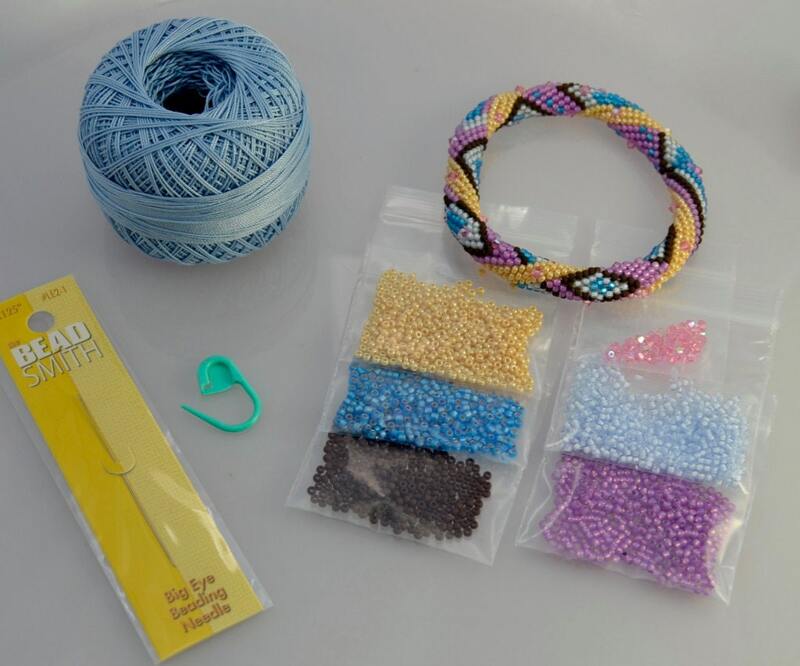 This is a kit to make the bracelet. Picture 5 shows the final piece along with all the kit contents. This pattern shows the bead crocheter how to count stitches and string a complicated pattern. 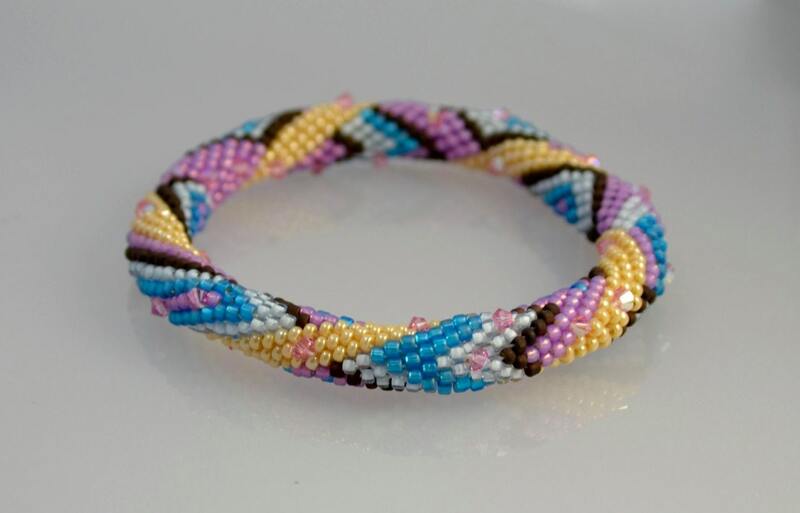 Two color ways patterns are included and shows the bead stringing pattern, thread type and weight. 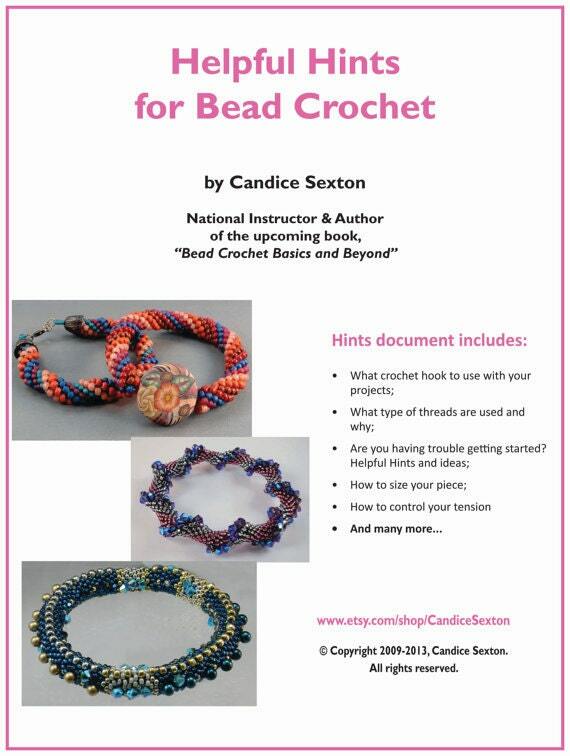 The Hints document includes how to size and close your bracelet with an invisible join, hints on how to do bead crochet, hook & thread sizes and many others.